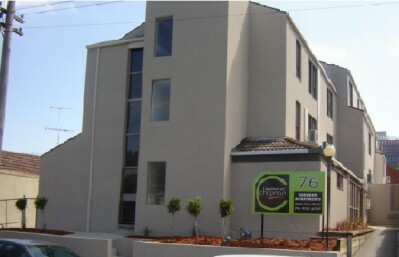 Apartments on Chapman are self catering apartments ideally located, and specialize in hospital stays Located in Chapman Street (one street behind Flemington Rd) on the Melbourne City fringe, Apartments on Chapman are the perfect location for business or leisure. Melbourne city is only 2 km away and an easy minute tram ride. Closest accommodation to the new Children's Hospital and near Royal Melbourne and Royal Women's hospitals.